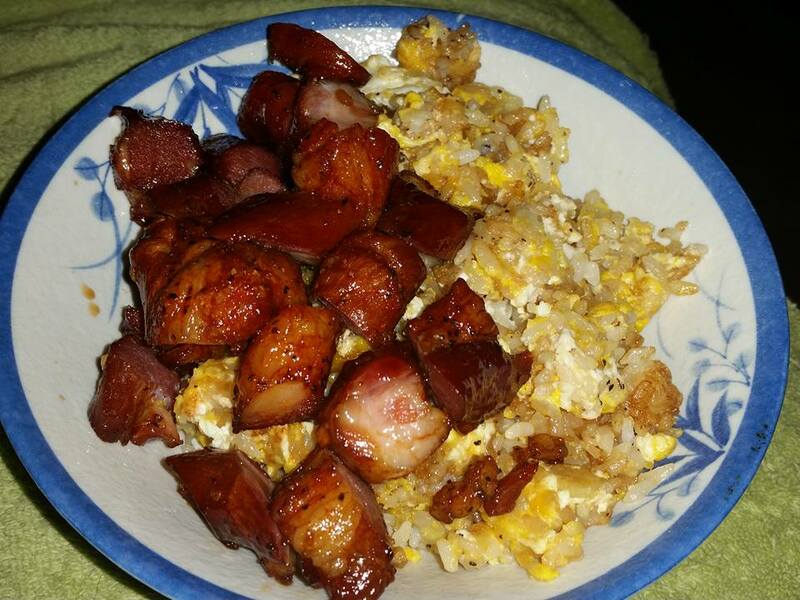 Tonight’s Dinner is egg fried rice and smoked meat… which is kinda like lazy sausage. It’s one a.m. here. Is it too late for a cooked meal? No no no, come on over.